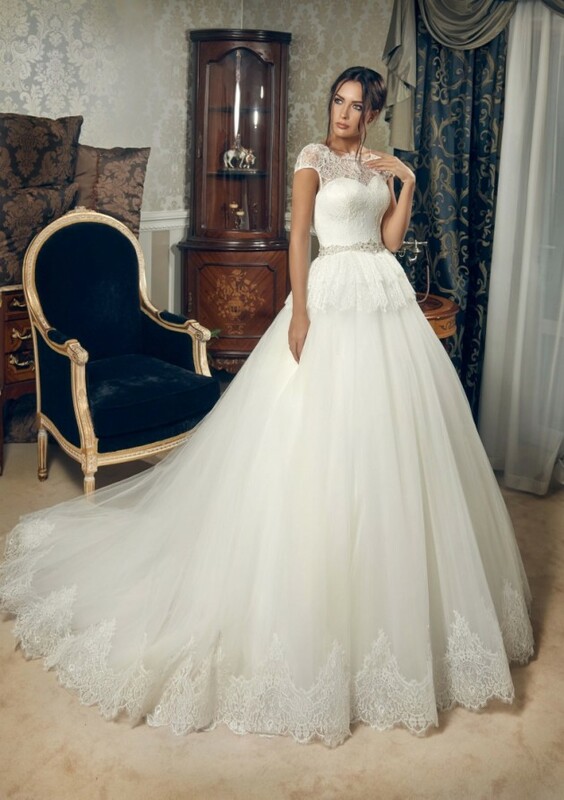 Hey ladies, I have a collection of 19 Dream Wedding Dresses for you today. These romantic and fairy tale designs are created under the popular Ukrainian fashion brand “Daria Karlozi”. If you are getting married soon and you are searching for your dream gown, then you are on the right destination! Here you can find wedding dresses that will take your breath away and will leave you speechless. All of the designs are made of stunning hand embroideries, finest lace and high quality fabrics. If you were afraid that you won’t find the dress for your body shape, don’t worry anymore. This collection contains wedding dresses for different types of body figures and taste. The bride is always in the center and following her demands and desires, Daria Karlozi succeeded to achieve her dreams. All of her dresses are magical and attention – grabbing. If you choose one of hers designs – you won’t regret it at all, believe me. It is your turn to take a look at the gallery and to choose your bridal gown. Enjoy! Thank you for reading! I hope you have found the model that you were searching for a long time. Enjoy in the rest of your day and stay up to date with the contents of Fashionsy!